The addition of the several new aircraft on the popular Liverpool to Malta flight path will give Private Jet Central customers even greater choice. As Liverpool to Malta is one of our most popular flight destinations we want to improve our service in any way we can. Private Jet Central has announced a number of improvements to one of its most popular routes. Customers who wish to fly private jet from Liverpool to Malta will now have an even greater choice of private jets to choose from to enhance their flight experience. From the 1st of April 2012 Private Jet Central will be expanding the number of aircraft it uses on the route to improve its standard of customer service. The addition of several new aircraft dedicated to the route including the Hawker 2000, Hawker 900XP and the Citation Mustang will significantly improve the choice available to PJC customers. The addition of the new entry jets and mid-level jets is designed to give clients of PJC greater flexibility and increase the number of total flights. Malta is one of the most popular tourist destinations in the Mediterranean and receives several hundred thousand visitors from the UK each year. In addition to an improved choice of jets Private Jet Central customers can now enjoy an improved streamlined booking service as well as round the clock access to a dedicated flight consultant. Flights to destinations in Europe and around the world can be arranged in minutes using the team of expert aviation consultants at Private Jet Central. Private Jet Central is a global jet charter company with offices in the United Kingdom, United States and the Middle East. 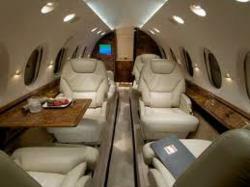 Founded in 2001 they offer a range of jet charter services to business and pleasure users in the UK and Europe. With over 10 years’ experience in the jet charter industry they are ideally placed to meet their client’s requirements. More information on the full range of services offered by Private Jet Central is available from their website and also by contacting any of their offices by phone or via e-mail.